Deadly Silence is the best and only horror open world game in the world!!! A cemetery full of people had to deal with a major accident during a windy Saturday. All the persons that visited their loved ones or which attended funerals died. However, the police can’t find any bodies. The cemetery is closed down now and the case is closed too because there’s no real way to figure out what happened and finally solve this rather intriguing and challenging case. The problem is that more and more people in town are missing and the remaining residents are scared that the body count increases and they may very well be next. You are play the role of Alex, who has a partner named Lana. Lana had a very good life until now, but this shift in the city affected her a lot more than ever before. Her sister is missing, so she needs to do everything in her power to figure out a good approach and finally get to the bottom of these missing cases. Can you help Alex solve these puzzles and finally get back his loved one? Deadly Silence is a very intense game where you will use more than 60 different cars to drive around and explore the city. You have 60 different filters as well and more than 8 large locations that you can check out. Here you can interact with some of the few people that are alive in the city and which may be able to give the assistance you need. In Deadly Silence you can also use your mobile phone, you can call other characters, play music, send them messages, purchase weapons and even a new car. It offers a great blend with the current society where just about anything can be acquired via a phone. Exploring the city will be very scary, as you have to deal with zombies, scary locations and a plethora of challenges that will come right in front of you. The focus is on going well over any challenge that appears as you acquire new weapons and stuff via your phone. Deadly Silence delivers a great simulation of what would happen if a zombie apocalypse would appear right now. What would you do? 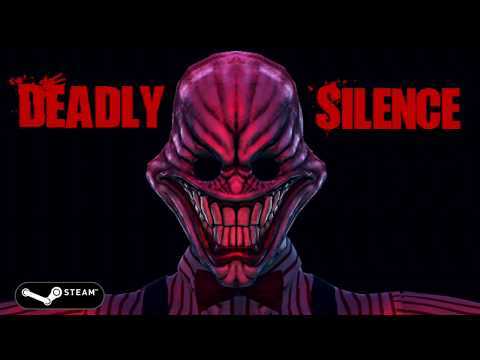 With Deadly Silence you get to simulate and experience all of that, all while enjoying a very fun and unique gameplay!